Itching to discover the newest restaurant and retail additions to Bucktown? From a test kitchen to a shuffleboard club, read on for the newest businesses to debut in this part of Chicago. 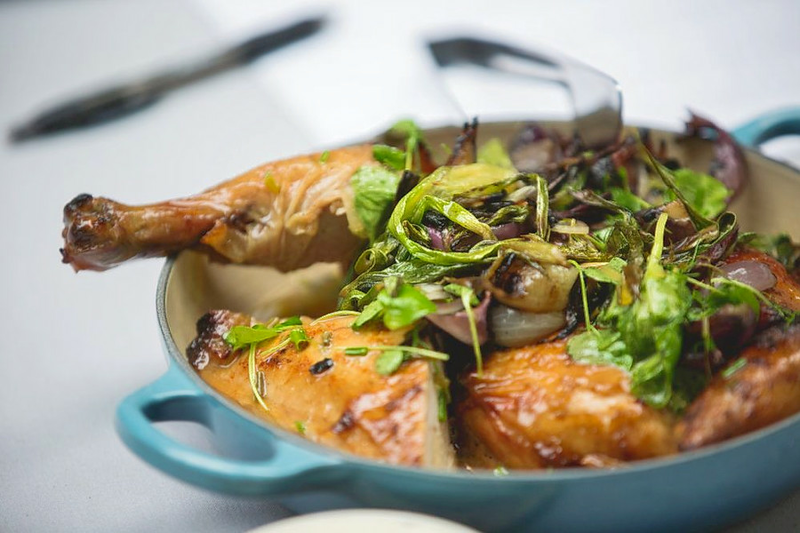 Etta is a new neighborhood restaurant by the team behind Near North Side's Maple & Ash. At the helm is chef Danny Grant, formerly of Ria and Maple & Ash. Much of the menu is wood-fired on the restaurant's open hearth. 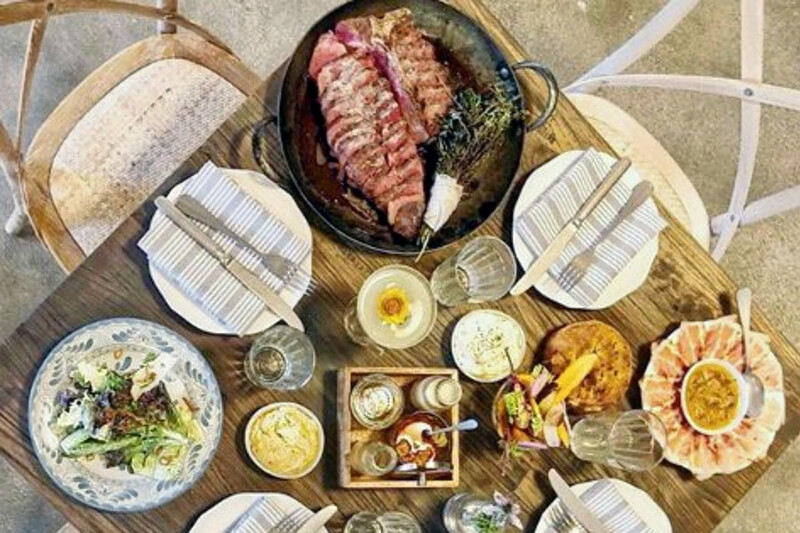 Look for notable menu options like rack-roasted oysters with smoked tomato butter and lemon; spicy meatballs served with hearth bread; rigatoni with olives and Calabrian chili; and hearth-glazed lamb with summer squash, tomatoes and cucumbers. Pizzas include pepperoni with buffalo mozzarella, arugula with ricotta, lemon and olive oil and wild mushroom with goat cheese. Thirsty? Try one of the numerous signature cocktails on offer, such as the Have Mercy with amaro, Jamaican bitters and scotch rinse, or the Banana Hammock with sherry. Visit Etta's website for the full menu. Etta currently holds 3.5 stars out of 12 reviews on Yelp, indicating fair reviews so far. And Adam S. wrote, "Garganello pasta that was to die for! The space was open, airy and comfortable." Etta is open from 5-10 p.m. Sunday-Thursday and 5-11 p.m. on Friday and Saturday. Yolk Test Kitchen is an experimental breakfast and brunch spot. The original Yolk restaurant was founded in 2006 by Taki Kastanis and now offers locations in Indiana and Texas, too. Bucktown's new spot offers much of the same as its sister locations: a mix of classic and unexpected breakfasts, specialty juices and fresh coffee. Try a traditional dish from restaurant's list of staples, like the country skillet, which includes any style of eggs with bacon, ham and sausage, or cinnamon roll French toast. Or, mix it up with a test kitchen option, such as avocado toast with salmon and fried capers; lemon ricotta pancakes with blueberries; or spinach crepes with shiitake mushroom, asparagus and onion. Yelp users are still warming up to Bucktown's new Yolk Test Kitchen, which currently holds 3.5 stars out of 27 reviews on the site. On August 7, Mark G. said, "Self-serve, fast casual. Super friendly staff and delicious brunch items with a twist!" 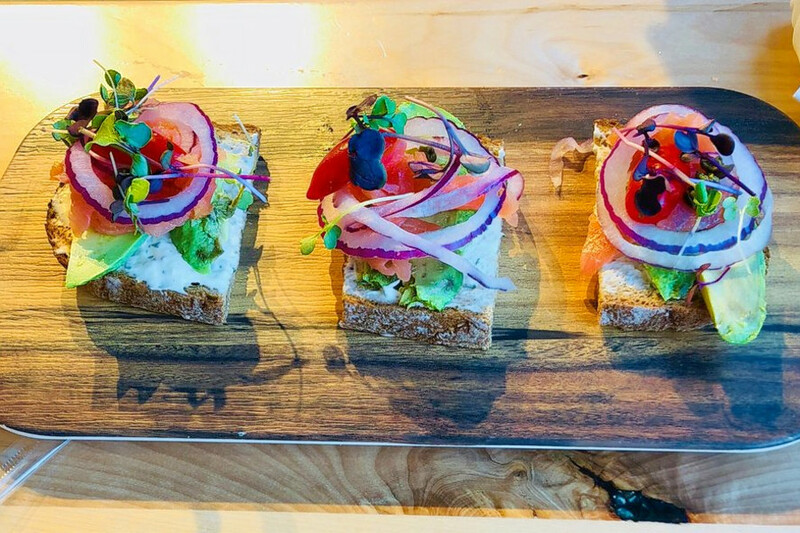 Yelper Jane M. said, "New in my neighborhood and finally open, Yolk Test Kitchen is a gem. If you want yolk, go to Yolk. If you're not sure, more adventurous or have both traditional and more sophisticated palates in in your party, come here." Head on over to check it out: Yolk Test Kitchen is open from 7 a.m.-3 p.m. daily. The Royal Palms Shuffleboard Club is a bar and sports club that mixes hourlong shuffleboard sessions with a number of libations. Primarily a walk-in club, with a rooftop deck, make sure you bring your government-issued ID: This spot is for adults 21 years and older. Dubbed as the biggest Monday and Tuesday shuffleboard league in the city, groups of 4-10 can get nine weeks of play for $500. Tropical drinks are on offer, as are rotating food trucks, board games and live DJ sets. Eleven regulation-sized shuffleboards make up the bulk of the large interior's space. Check out the website for more information and a full list of offerings. The Royal Palms Shuffleboard Club's current rating of 4.5 stars out of 42 reviews on Yelp indicates positive attention from users. Precious F. noted, "This would be a great place for a big group. We went, just the five of us and we had fun, but with a few more people, I think we could have thoroughly enjoyed the space." 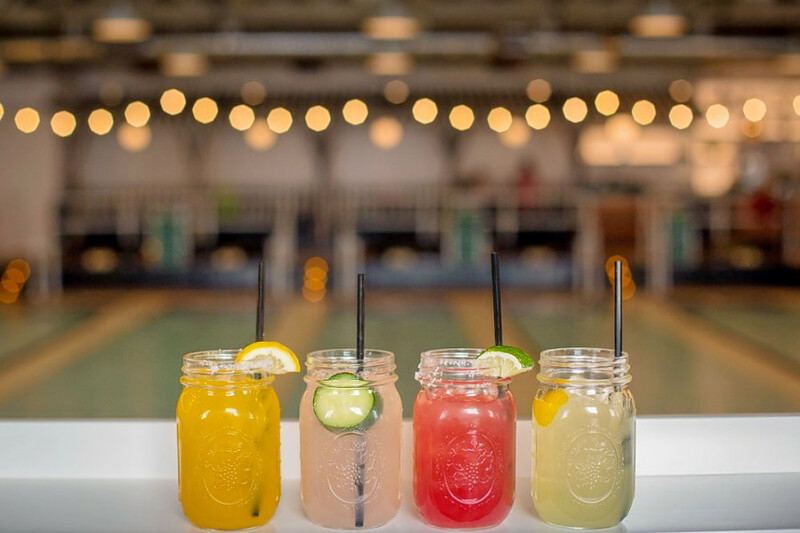 Yelper Antonio F. wrote, "This was my first time visiting a shuffleboard club, so I can't really compare this place to any others, but it's a very good concept! Everyone there was very nice, and this place is a lot of fun." The Royal Palms Shuffleboard Club is open from 5 p.m.-midnight on Monday-Thursday, 5 p.m.-2 a.m. on Friday, noon-2 a.m. on Saturday, and noon-10 p.m. on Sunday.